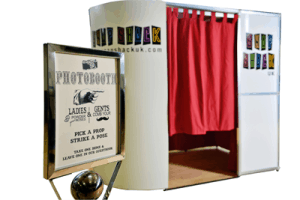 Photo Booth Hire Brighton for all your Parties, Weddings and Corporate events. Are you looking for Photo Booth Hire Brighton? Look no further! Here at Snap Shack UK we guarantee you and your guests a night to remember. The fun and laughter our photo booth creates is amazing! Everyone is sure to have the best time! Whether you are holding a corporate event, a Wedding, a special party or just want to have a great time, we are dedicated to making it a night to remember. We will set up our high specification Photo Booth and make sure that everything runs like clock work. We will provide the entertainment so you and your guests can just have the fun. We are based in Sussex and love to offer photo booth hire in the cool and quirky city of Brighton! We tailor our pricing to your requirements! High quality camera ensuring your photos are crisp and clear. Unlimited High Definition Video’s with sound. High quality Prints in colour or black and white. Up to 10 people can fit in the booth at one time for group shots. Large touch screen for ease of operation. Lots of fun props supplied to get everyone laughing and having fun. With our green screen we can put any photo or logo on the background. Fun and Friendly photo booth attendant. Red rope barrier to make your guests feel like VIP’s. We provide you with a USB at the end of the evening with all of your videos and photos included. Upload your pictures to the Snap Shack UK Facebook, so your friends can tag and share. We can also provide Keyrings and/or a photo book for an additional fee. Our photo booths are regularly in the best venues in Brighton. These include The Grand in Brighton, Hilton Hotel Brighton Metropole and many more! For all of your wedding and party needs, this fun photo booth provides entertainment for all guests for all ages. We will beat any other photo booth hire Brighton price without compromising on quality. For your personalised quotation for Photo Booth Hire Brighton get in touch today!